I’m currently rocking my Awkward Spring Wardrobe (ASW).This phase of the year is all about making bad wardrobe decisions; like wearing a coat because your cold in the morning and then sweating a gallon on the tube at 6pm. Or putting on a little jacket and spending the rest of the day wrapping a pashmina around your face because you’re so cold. I don’t know how to dress for 12 degrees C. I’m sorry. ASW doesn’t discriminate – it is all encompassing. It stretches down to your feet. I chose ballet pumps the other night and it rained so hard that by the time I got home, my toes were like little wrinkly ice cubes. And all the way through to your work out gear, I went for a run in layers the other day. Mistake. ASW is even more awkward when you see those perfect women with their pastel handbags, over sized sunglasses and spring dresses. Oh, and a cardigan artfully on the shoulders. 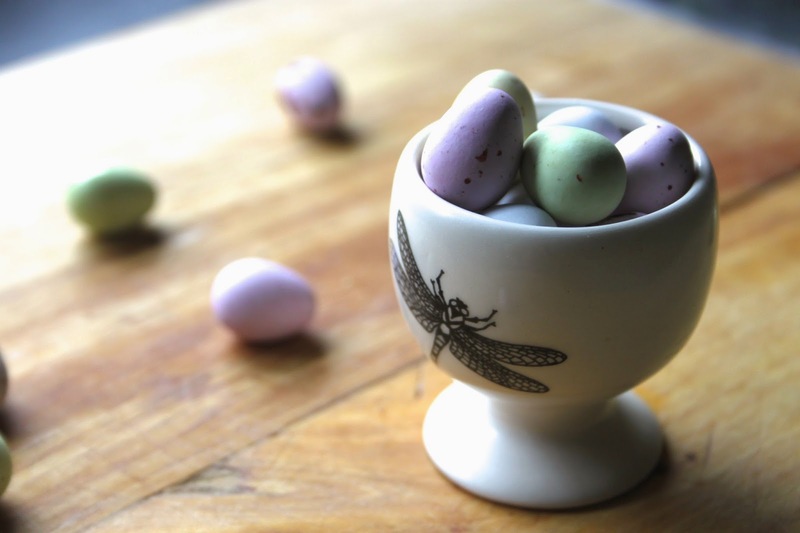 They never look cold.My idea of adding pastels to my life comes in the form of mini eggs. 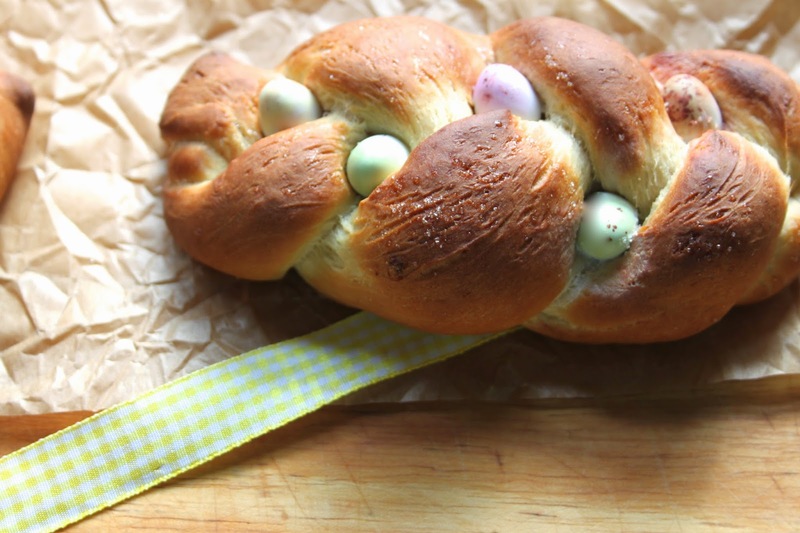 Soft, sweet, plaited bread dough (I used my Six Plait Loaf recipe), studded with Easter’s bounty. That’ll do for now, or at least until the weather sorts itself out. Hard sugar coated mini chocolate eggs (around five per loaf)Method1, Sift the flour into a large bowl and add in the butter. Rub this together with your finger tips until completely combined and there is no large lumps of butter. 2, Add in the yeast and caster sugar and stir together. 3, Add in the egg and most of the water. 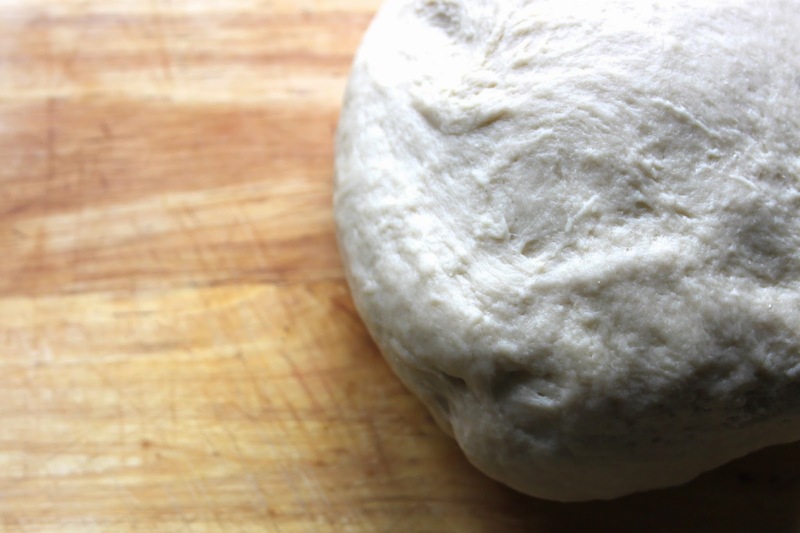 Start to bring the dough together into a ball, adding more water as you go if you need it. You want a ball of dough that is soft to the texture and only the tiniest bit sticky. 4, Knead (or dough hook in a stand mixer) it for for 5-10minutes until it is smooth and elastic. Transfer into a clean, oiled bowl, cover with clingfilm and leave somewhere warm for an hour or until it has doubled in size. 5, When you have big fat dough, knock it back with your fist and divide into six equal balls. 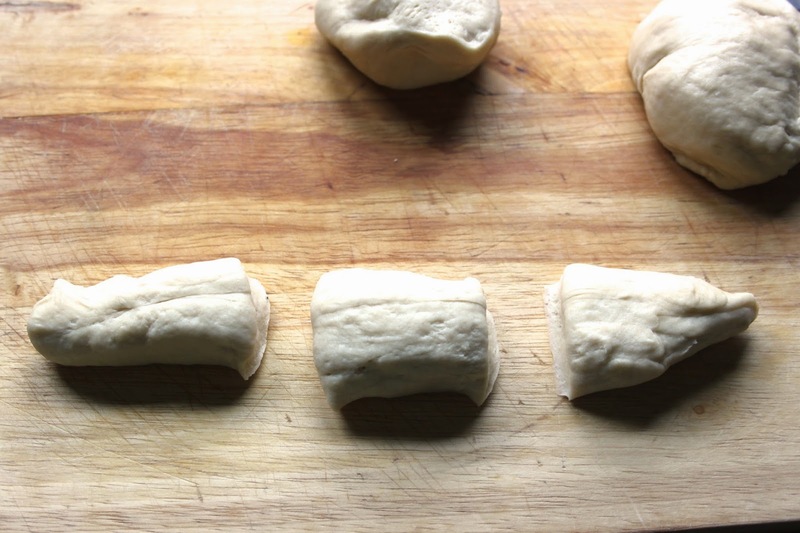 Divide each of these balls into three equal pieces, roll them into fat sausage shapes that are around 15-20cm long. Pinch these together at one end and do a simple three strand plait. When you have finished plaiting, pinch the ends together and tuck them under. 6, Place on a lined baking sheet and cover with clingfilm. (Optional: you can sprinkle them with a little granulated sugar at this point if you want, it doesn’t add a huge amount though). These don’t really need a second rise, instead I just covered them, turned on my oven to 220o/c and then baked them for 11-13 minutes until they are golden brown. 7, Once they are cooked, take them out of the oven and transfer onto a wire cooling rack. 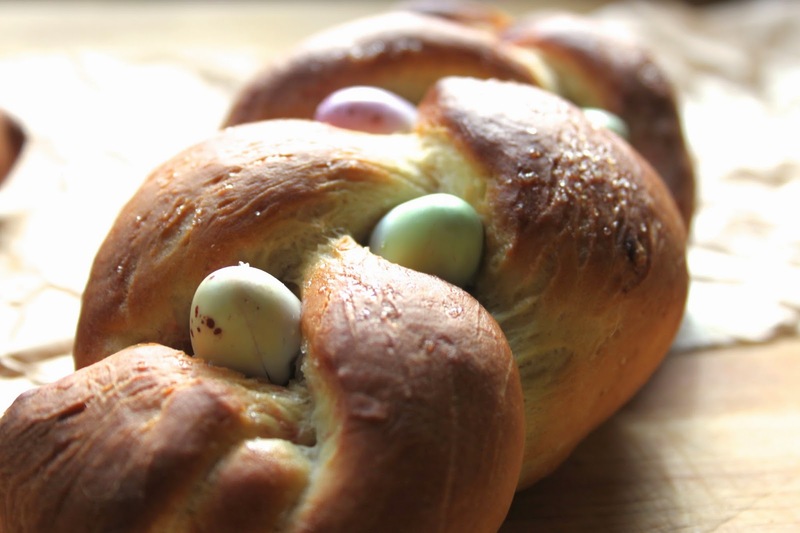 Minding your fingers, as they will still be hot, jam in a mini egg in each of the “plait holes” (See pictures for reference. 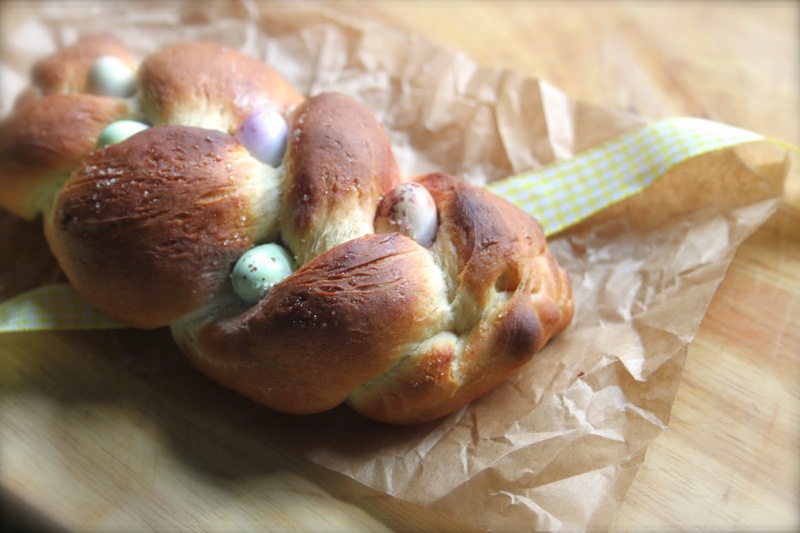 I can’t believe I don’t have a better word for “plait holes”) I used, on average, five eggs per little loaf. They will melt and crack a bit. 8, These are best eaten warm, the warm melted mini eggs are the best bit.